Charles Vignoles was born in 1793. Vignoles emigrated to the USA where he became a soldier. 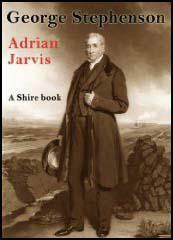 He later worked as a surveyor and in 1823 he returned to England. Vignoles became involved in drainage works and in 1826 he was invited to join the team working on the Liverpool & Manchester Railway. The two men did not get on and eventually George Stephenson had him replaced. As a result of the work he had done on the Liverpool & Manchester Railway, Vignoles was appointed engineer of the St Helens & Runcorn Railway (1830-33). This was followed by the Dublin & Kingstown and the Midland Counties. Vignoles also worked on the Sheffield & Manchester line but left in 1841 after a dispute with the directors of the company. Vignoles most impressive work was done in mainland Europe. In Russia he built the Kiev Bridge over the River Dnieper (1847-53) and the Tudela & Bilbao Railway in Spain (1857-64). Charles Vignoles died in 1875. 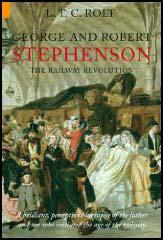 (1) In later life Charles Vignoles described what it had been like working with George Stephenson on the Liverpool & Manchester Railway. I acknowledge having on many occasions differed with him because it appeared to me he did not look on the concern with a liberal and expanded view but with a microscopic eye. I also plead guilty of having neglected to court Mr. Stephenson's favours by crying down all other engineers, especially those in London, for though I highly respect his great natural talents, I would not shut my eyes to certain deficiencies.